Everyone loves a good deal. For evidence, look no further than a recent survey by Hawk Incentives that found that about 92 percent of consumers are always on the hunt for a bargain. If there’s one thing Americans enjoy more than a good sale, it’s their smartphones. The two are often intertwined, as the majority of consumers predominantly shop on their mobile devices. Americans spend nearly an hour using shopping apps every month, with mobile expected to account for 45 percent of total U.S. e-commerce activity by 2020. 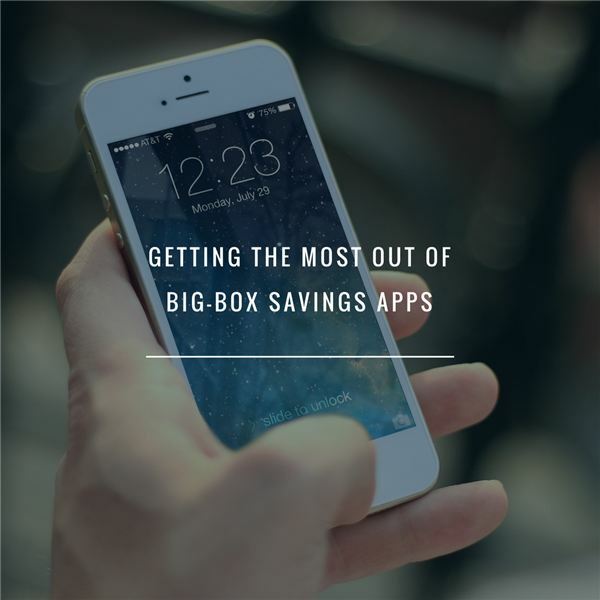 As a result of these twin trends, numerous big-box retailers have decided to roll out their own dedicated savings apps. For example, Target’s app invites shoppers to scan specific items for extra savings — to the tune of about $1 billion in discounts. Meanwhile, Walmart’s app allows users to get a refund via store credit if a competitor offers a lower price within a limited time frame. This approach appears to be working, as consumers who have downloaded the Walmart app visit stores twice as often and spend 40 percent more than the average shopper. Considering that a 2017 Clutch survey found that 68 percent of consumers use e-commerce apps to receive deals and offers, this clearly isn’t a passing fad. For deal-hungry shoppers who want to reap the benefits of loyalty apps, there are a few things to keep in mind. Paying for a discount might sound counterintuitive, but some loyalty programs provide a tremendous return on investment. You might pay $50 for a membership that saves you hundreds of dollars over several months. Of course, these one-time charges are only nominal if you make regular purchases from said retailer. Consider Amazon Prime, for example. If you pay the $99 annual fee but only order from the site twice a year, the added cost isn’t worth it. If, however, you place recurring orders from the site, regularly stream videos and music, and take advantage of early access to deals, the annual fee quickly pays for itself. Amazon has truly mastered this fee-based setup in the world of e-commerce, but it certainly isn’t the only company to offer a loyalty program. Specialty brands such as REI and Restoration Hardware have their own VIP programs, and warehouse clubs such as Costco and Sam’s Club have been perfecting this approach for decades. The number of fee-based loyalty plans will likely increase in the coming years, as a recent survey found that 62 percent of respondents would consider joining a rewards program if their favorite retailer offered one. As the available loyalty options multiply, review your shopping tendencies to determine whether your membership will be a waste of money or a savvy investment. The most common loyalty program is a straightforward points system. Customers earn points for every purchase, and they can then redeem those points for rewards, discounts or free gifts. Based on a report by Forrester Research, 72 percent of U.S. adults belong to at least one loyalty program. Of those same consumers, 78 percent feel that loyalty programs save them money. You’ll want to pay close attention to redemption details because some loyalty programs could have expiration dates or limitations on how many deals you can cash in at once. The more you shop at a store, the more rewards you will reap. With this in mind, use loyalty programs to your advantage. Assuming the price tag is similar among multiple companies, make major purchases from a retailer that offers loyalty perks and allows you to earn discounts for future use. The best way to maximize loyalty benefits is to simply plan ahead. Start by making a list of items you want to purchase. Once you have that list, delay your purchase of each item until it goes on sale at your preferred retailer. If you’ve played your perks right, you might even be able to purchase those items using rewards points. Americans adore deals, and they want to use their smartphones to obtain those discounts. In fact, a recent report by Colloquy indicates that 26 percent of consumers would stop using a loyalty program if it lacked a smartphone app. Major retailers are aware of these preferences, and the Walmarts, Targets and Amazons of the world all offer ways for consumers to save a few bucks.